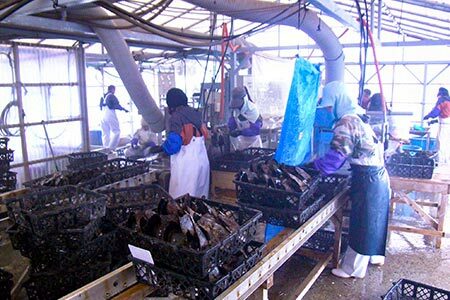 Amami has become famous for producing high-quality pearls. 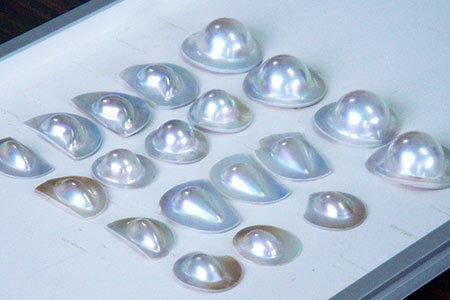 Two kinds of pearls are cultured in Amami, the mabe pearl and the south sea pearl. A mabe pearl is a dome-shaped cultured pearl. Instead of being grown inside the body of the mollusk like most pearls, a mabe pearl grows against the inside of the shell. Its color varies from pale pink to metallic gold, and its texture is extremely fine. The second type, the south sea pearl, is characterized by its golden color derived from being grown inside a golden-lipped pearl oyster. This particular oyster usually lives in tropical seas even warmer than Amami's, so the relatively colder sea temperature in Amami causes the oyster to develop its pearl layer more slowly. Because of their fine layers, south sea pearls glow elegantly. 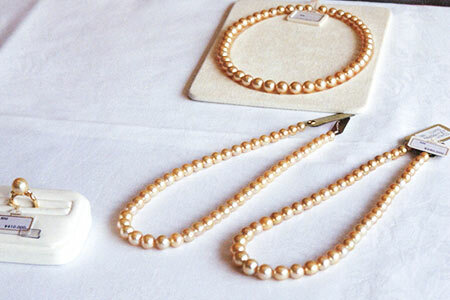 These special pearls produced in the Amami sea make a great souvenir for yourself or a thoughtful gift for a loved one.